Second in a series about misleading communication on the NYC subway. 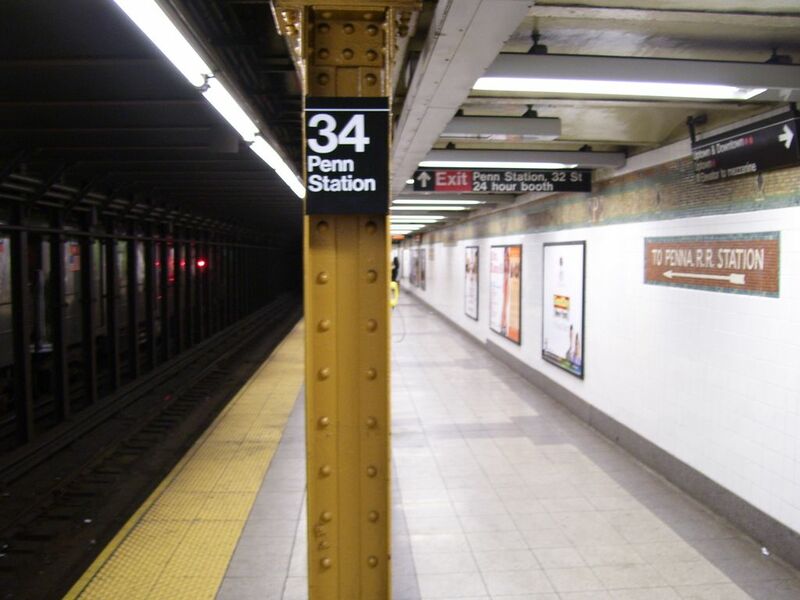 Unlike most express stops in the NYC subway system (in which the express and local tracks are on opposite sides of the same platform, making it easier to transfer from one to the other, and making it possible to take whichever train comes first if you are indifferent), Penn Station is different. The uptown and downtown express tracks are on one platform, the uptown local is on another platform, and the downtown local is on a third platform. As I understand it, this is on purpose, because Penn Station gets enough traffic as it is (with people transferring to and from commuter trains) and would rather not have the additional traffic from people transferring between the express and the local, especially when it's possible to do this at Times Square, one stop away. (The same is true for Atlantic Ave in Brooklyn.) Fine. The subways are always screwy on weekends and holidays. Also fine - if you expect it, then it's not a surprise. On Monday night (Memorial Day), we got back into the city at Penn Station and attempted to take the subway uptown. We didn't know whether anything would be running on the express track, because of holiday weirdness, but we had no choice but to go up to the express platform first, because the entrance to the uptown local platform was closed at the southern end, where we were coming from. Annoying, but again, not unprecedented. When we got up to the express platform, we saw a sign that said "2, 3: stopping at the local track". We thought "Wow. These people waiting on the express platform are waiting here in vain, because no trains are going to be stopping here." (This thought would have been foolish and arrogant if we hadn't been at the "vain" end of this exact situation in the past.) Just then, a 2 train started pulling up to the local track, so we went as fast as we could up the platform to the other set of stairs, down the stairs, over to the local side, and up the stairs to the local platform, but didn't make it in time. Then we saw another sign saying "1: stopping at the express track". And just then, a 1 train pulled up to the express track, and we knew we wouldn't make that one either. WHY DIDN'T THEY PUT BOTH SIGNS ON BOTH PLATFORMS? Unlike the previous subway rant, it doesn't seem that anyone benefits from this, other than a tiny fraction of a tree. Also, if you're a subway operator and the people on your train had to wait 15 minutes before the train came, don't bother pressing the button for the "We are experiencing delays due to train traffic ahead of us" message. You're not fooling anyone. There aren't any entrance ramps ahead where trains are merging in. I'll still miss New York. The Automatic for the People kabbalat shabbat has been featured on the website of the Jewish Outreach Institute, after one correspondent called it "Pretty much the only thing that’s ever made me want to go do something Jewy." See also the JOI's post about the National Havurah Committee's Chesapeake Retreat, described as "the platonic ideal of what a welcoming Jewish event can and should feel like". Thanks to everyone who voted in the JIB Awards! The results are in, and Mah Rabu has won two bronzes: Best Jewish Religious Post for Hilchot Pluralism Part VI, and Best Post Series for the Hilchot Pluralism series. Wave-particle duality isn't the easiest concept to convey to high school freshmen (or to anyone. for that matter), but I think I have found a successful analogy that plays on a sort of complementarity that the students have already been using in physics class (and life). Earlier in the year, when we did projectile motion or force problems, we treated the surface of Earth as if it is flat. Later on, when we looked at gravity and considered Earth orbiting the sun, we treated Earth as if it is a point. So which is it? Is Earth a plane, or is it a point??? Well, of course, it's neither -- it's (approximately) a sphere. But spheres are difficult to deal with. And when you're really close to a sphere, it looks like a flat plane, and when you're really far from it, it looks like a point. So each of these models is appropriate under certain circumstances. Likewise, when we observe diffraction or interference or polarization, we treat light as if it is a wave, and when we observe the photoelectric effect, we treat light as if it is a particle. So which is it? Neither -- it's something outside our everyday experience. But the wave model and the particle model are each appropriate under certain circumstances. For the next four years at least, the Chicago area is the center of power in the world of the American Reform rabbinate. Rabbi Peter S. Knobel, spiritual leader of Beth Emet the Free Synagogue in Evanston, was recently installed as president of the Central Conference of American Rabbis, the national organization of Reform rabbis, believed to be the oldest and largest rabbinic association in the world. At the same time Rabbi Ellen Dreyfus, of B’nai Yehuda Beth Sholom in Homewood, was installed as vice president. Knobel will serve two years, then Dreyfus will take over as president. As long as records have been kept for the 118-year-old organization, this is the first time the two top leaders have been from the same city. In addition to the two rabbinic leaders, two more Chicago-era individuals head national Reform movement organizations this year. Lori Sagarin, director of congregational learning at Temple Beth Israel in Skokie, is the president of NATE, National Association of Temple Educators. And Edward Alpert, executive director or Am Shalom in Glencoe, is the president-elect of NATA, National Association of Temple Administrators. One answer, she says, may lie in the chavurah (informal fellowship group) movement-her eldest son, among many others, identifies with it. “His cohort are less interested in institutional synagogues as they are in studying, celebrating, creating community. At this point we don’t know what will happen to them when they settle down and have children, but we don’t want to lose the best and the brightest because we have become irrelevant,” she says. This message contrasts sharply with URJ president Rabbi Eric Yoffie’s statements railing against “postdenominationalism”. Rabbi Dreyfus’s message is one that I (and other Reform movement expats) have been waiting for years to hear from the official institutions of the Reform movement: a recognition that we have created meaningful Jewish lives outside the Reform institutions without abandoning our progressive Jewish values (i.e. the reason we’re not there isn’t because we’re not interested in Judaism), and an acknowledgement that we are missed and that our absence highlights an area where the movement falls short. Acknowledging the problem is the first step towards solving it, so the message we’re hearing from the new leadership portends good things for the future. And now, the final curtain. 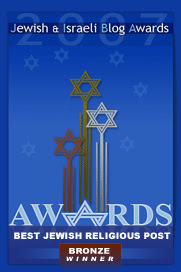 Mah Rabu has made it to the final round of the Jewish and Israel Blog Awards! 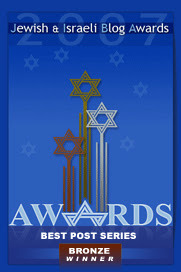 Jewschool for Best Group Blog, Best News/Current Events Blog, Best Left-Wing Political Blog, Best Jewish Anti-Establishment Blog, Best Jewish Music Post, and Best Designed Blog. Tonight I'll outsource to these folks. 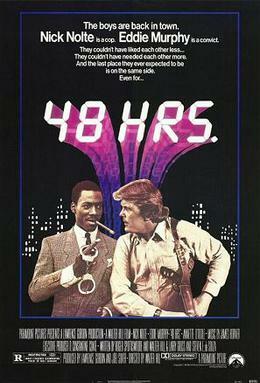 The omer begins at 40. Thanks to everyone who voted in the first round! The results are not yet certified, but Mah Rabu appears to be on top of its group, meaning that it will advance to the final round, which begins on May 10. In the meantime, the Best Series voting has begun, and goes until May 6. The Hilchot Pluralism series has been nominated for Best Series, and you can vote in this category here. It's listed there as "Mah Rabu - Jewish Pluralism". It's Lag, Lag, it's better than bad, it's good! Thirty days hath the omer. The day that just ended (in addition to being Mission Accomplished Day) was both MJS's 28th birthday (on the secular calendar) and the 28th day of the omer. Bonus question: A secular date actually spans two days of the omer. (MJS's 28th birthday was in fact both the 28th and 29th days of the omer.) Answer the question again taking this into account.